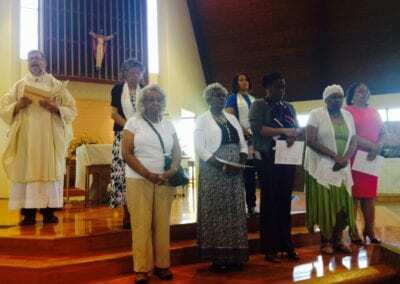 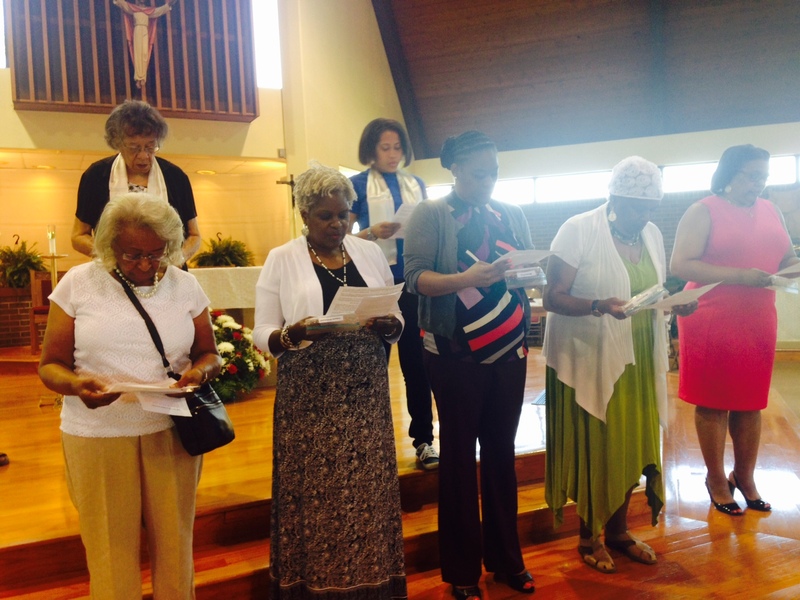 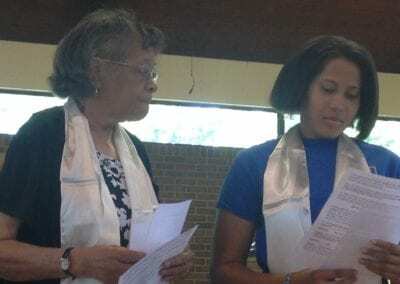 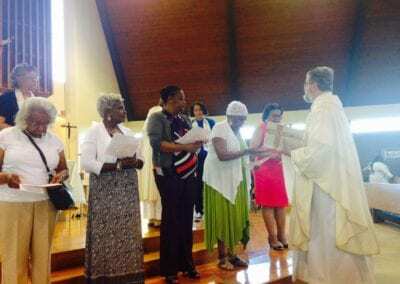 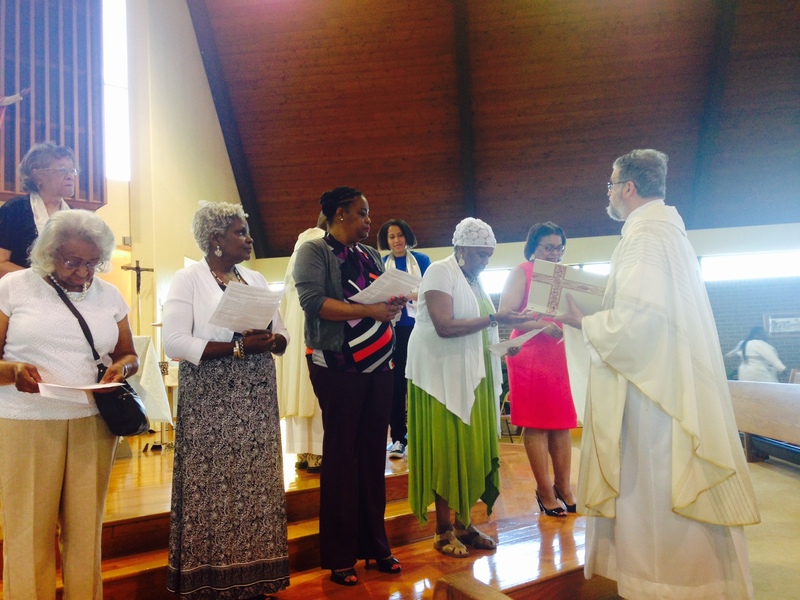 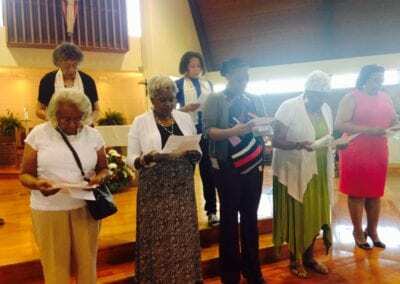 On June 11, 2017, Our Lady of Perpetual Help (OLPH) Ladies of Charity (LOC) hosted the District of Columbia LOC quarterly meeting and inducted 5 new members into its association. 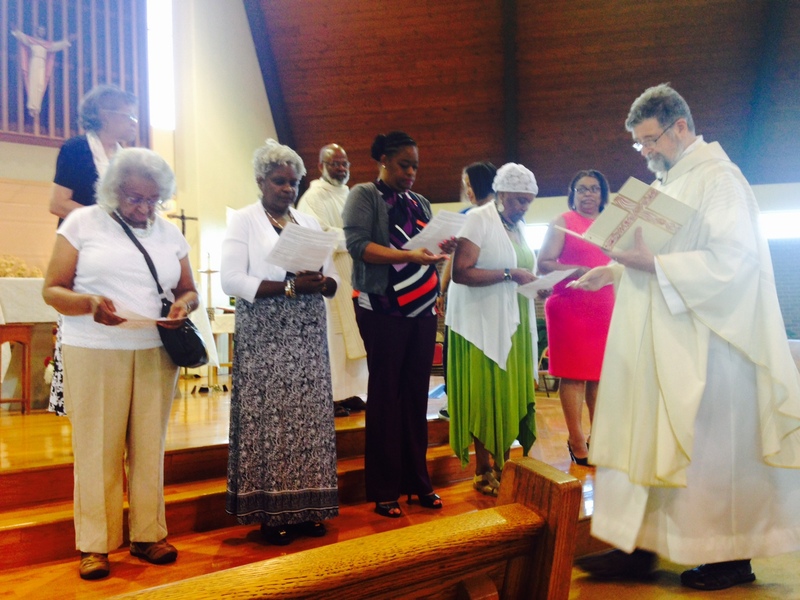 The Very Rev. Thomas Frank, S.S.J. 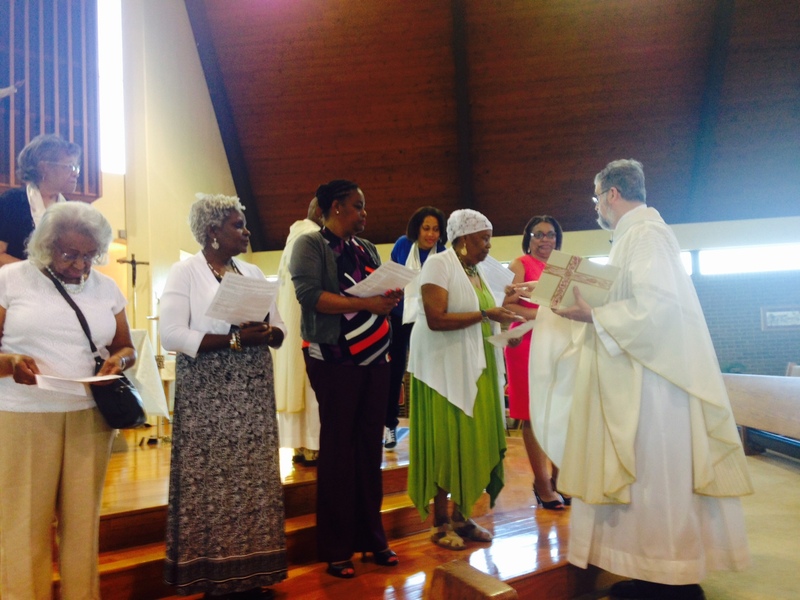 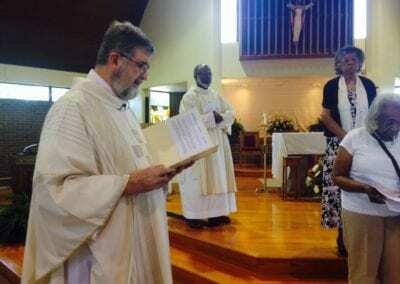 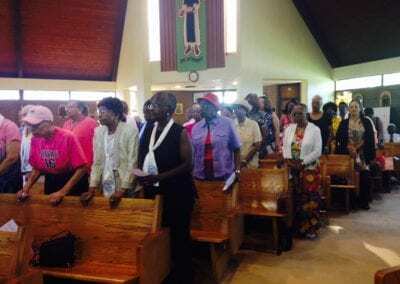 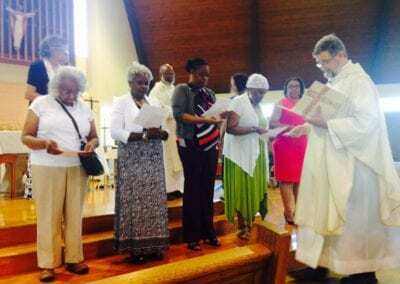 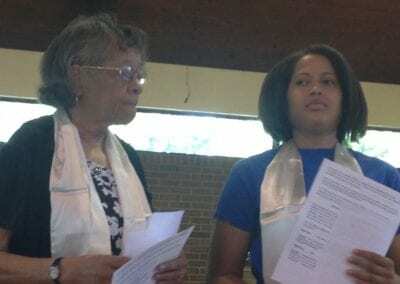 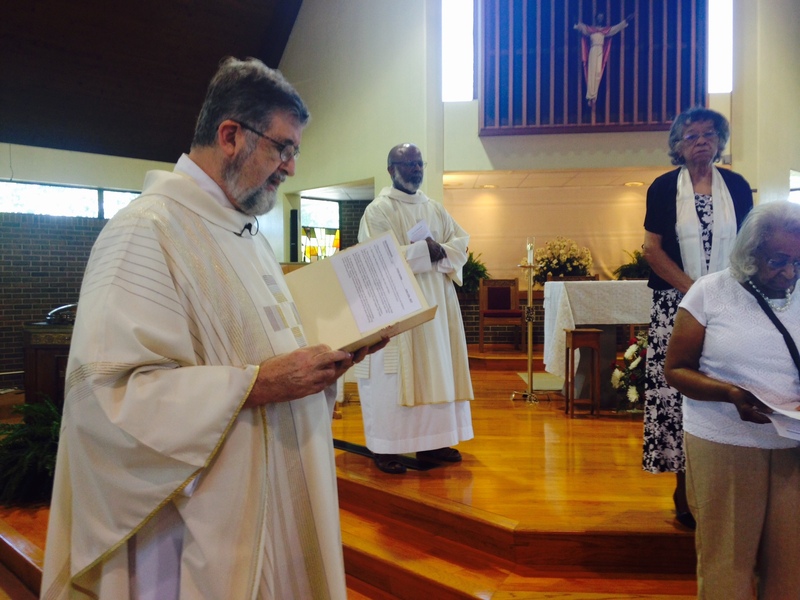 – Pastor at OLPH officiated the induction ceremony and was assisted by Deacon Timothy Tilghman. Ms. Bertha Guerra, President of the District of Columbia LOC parish units and Ms. Jamila Stone, President of OLPH LOC were available to present the new inductees with the LOC manual, pin, crucifix, prayer card and a membership card into the association. 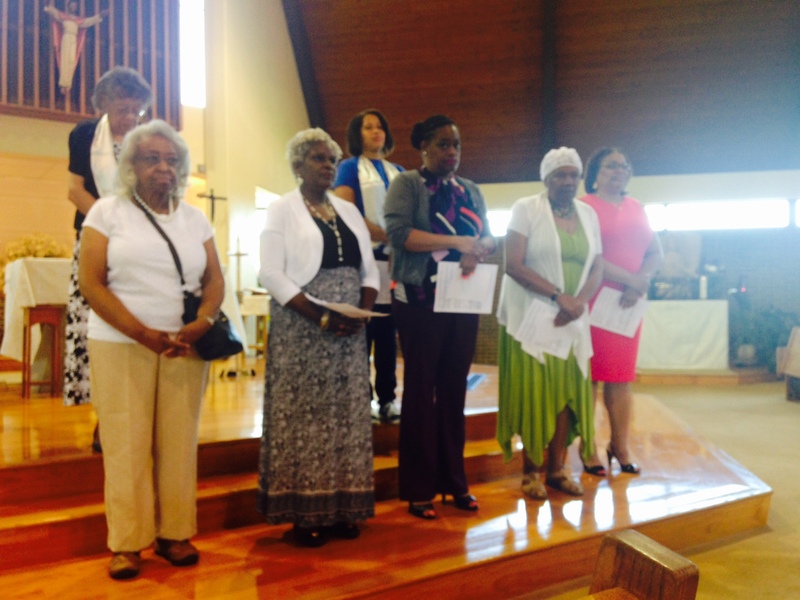 The new members were Ms. Claudine Sims of St. Gabriel LOC; Ms. Michelle R. Bethea, Ms. Margo Cooke, Ms. Monica Price and Ms. Celeste Richmond all of Our Lady of Perpetual Help LOC. 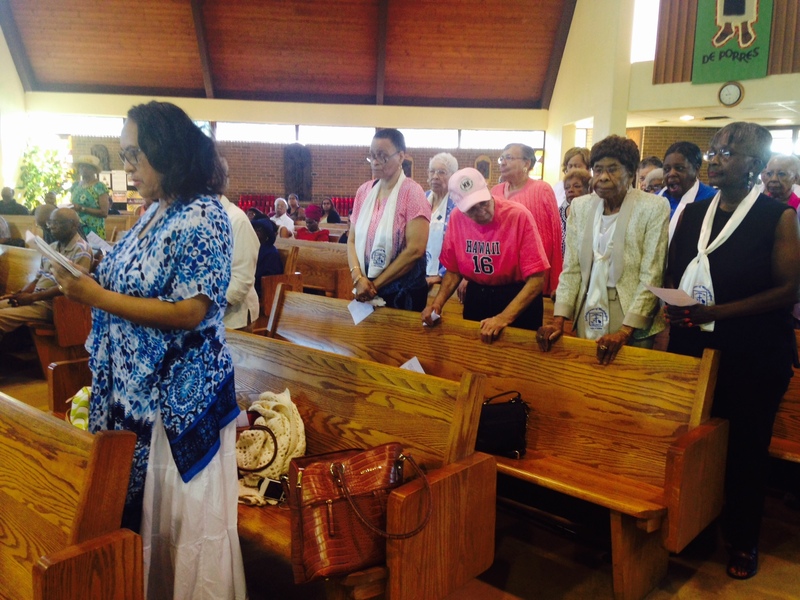 It should be noted Ms. Dawn-Marie Gray of OLPH was received into the association at the March quarterly meeting. 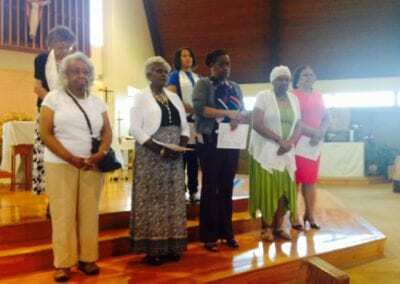 All total the District of Columbia LOC has inducted 6 new members in 2017. We feel truly blessed to increase the LOC membership in the District of Columbia.